Barnacle Press » N-E-W S-T-R-I-P! Ted’s Object Spelling Lesson! N-E-W S-T-R-I-P! 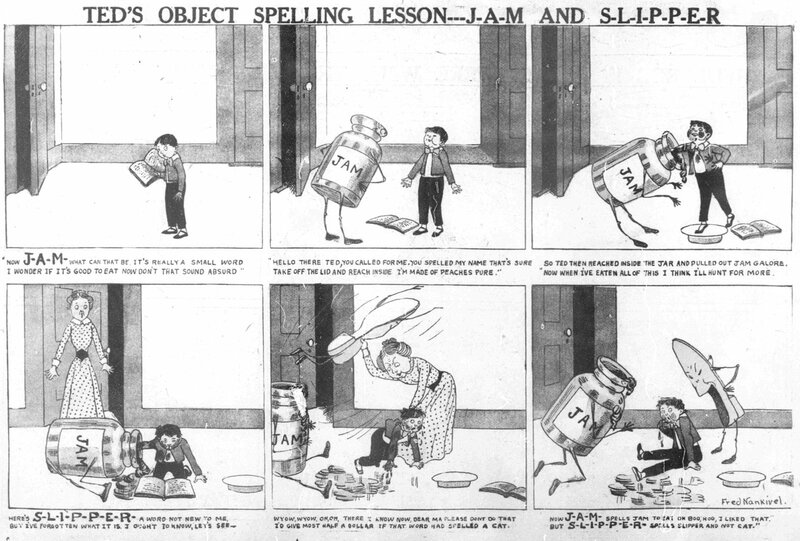 Ted’s Object Spelling Lesson! Give Ted a couple words and he’ll spell ’em for you, sure, but beware, that’s when the c-r-a-z-y starts. This one follows a pretty strict formula week in and week out, but manages to serve up some pretty wild imagery along the way. I’ve posted the first few months, starting with the introductory strip seen above.